Listed below are the basic home daycare safety regulations regarding sources of water, electrical, sanitation, stairways, decks and more. With multiple children in your home, you'll need to be aware of the regulations and be diligent about following them. All daycare providers are expected to comply with their own county rules regarding safety. All information on this page is to be considered general guidelines for what is required of an in-home daycare. Check with your Local Health and Human Services for the exact rules governing your area. Stairways with three or more steps must have a guardrail. The back of stair risers must be enclosed. Any open area between the handrail and stair tread must be enclosed with a protective guardrail. All stairways must be well lit and be free of clutter. Children should not be near swimming pools, wading pools, bodies of water, or beaches without supervision. If you have any water hazards on or near your property, make sure you understand the rules for your area. Just because your cousin in the next state over is allowed to do something, does not mean that you are. Once again, home daycare safety rules vary from state to state. Water temperature in the home must not exceed 120 degrees. Children’s hands should be washed with soap and water when they are soiled, after toilet use, and before eating a meal or snack. Providers' must assist those younger children who need help. Providers' hands must be washed after each diaper change, after helping a child on the toilet, after washing the diapering surface, and before the preparation of food. Use single use towels for drying the hands. You must have a safe water supply. If you have a privately owned well, home daycare safety regulations state it must be tested yearly by the Health Department. Drinking water must be made available for the children in separate or disposable drinking cups or bottles. If you have wood, kerosene, gas, coal, or oil heaters, they must be vented outside according to your State Building Code. In case of fire, the stove and heater locations must not block an exit. Whenever a potentially hot surface is in use (i.e. fireplace, wood burning stove, steam radiators, space heaters, steam pipes) it must be protected by guards to prevent burns. All of the above must also be installed according to your State Building Code. All furnaces, hot water heaters, and any workshop areas must be inaccessible to children. 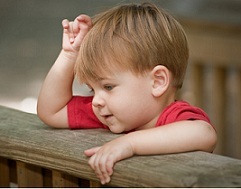 Home daycare safety rules require that decks 30 or more inches off the ground must be surrounded by a protective guardrail and must be built according to the State Building Code. They are usually required to be built of treated wood or have a coating of wood preservative or paint. A word of caution... this is one area where you should never underestimate small children. Deck furniture, riding toys, smaller toys stacked up, or climbing on each other can be used by children to get to the top of the railings. Closet door latches must be made so a child could open a closet door from the inside. All bathroom doors with a lock must be able to be opened from the outside, and the opening device must be readily accessible. My bathroom door had a lock, but could be opened from the outside by sticking a nail in the center of the doorknob. I kept a nail taped up above the door frame. Double cylinder locks on exit doors (a key is required on both sides) are not allowed. All day care residences must have toilet facilities and sewage disposal systems in accordance with the State Building Code. All toilets must flush thoroughly. If a local ordinance allows outdoor toilets, they are permissible. Remember to keep the toilet lids closed. Small children have fallen in and drowned when they are unable to pull themselves back out. For those with very small children, a toilet guard will keep the lid down and locked. In bathrooms, use single serving paper cups. No breakage, and less germs. If you have any construction or remodeling going on at your residence, the area must be made completely inaccessible to the children. Any electrical receptacles accessible to children must be shielded or tamper proof when not in use. Any electrical appliances must be properly installed and grounded according to the State Building Code. All appliances must be in good working order. You cannot substitute for permanent wiring by using extension cords. No extension cords or flexible cords can be affixed in the residence or extended through walls, ceilings, floors, or under doors. It is, of course, basic home daycare safety to use outlet plugs in every outlet in every room of your home. Be aware of where electrical cords are, especially items like lamps that can be pulled off the table by their cords. Look behind furniture for plugs that are unused. A small child will probably find these. Also available are safety outlet plugs for when the outlet is in use. The home must not have peeling paint, and be free of accumulations of rubbish. Both indoor and outdoor rubbish containers must be in accessible to small children. As you can see, the guidelines for home daycare are basic common sense. All rules have been placed in effect for the safety of the children in your care. As a child care provider, your main priority is the safety of the children. PLEASE... take the time to look over the entire safety section. 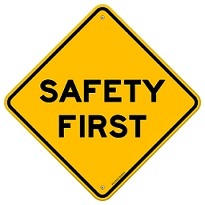 Home daycare safety covers many areas. Learn all you can to insure the safety of the children in your care.